NeoPixels at a Distance: Line Drivers and You « Adafruit Industries – Makers, hackers, artists, designers and engineers! Heya folks, Crow here. 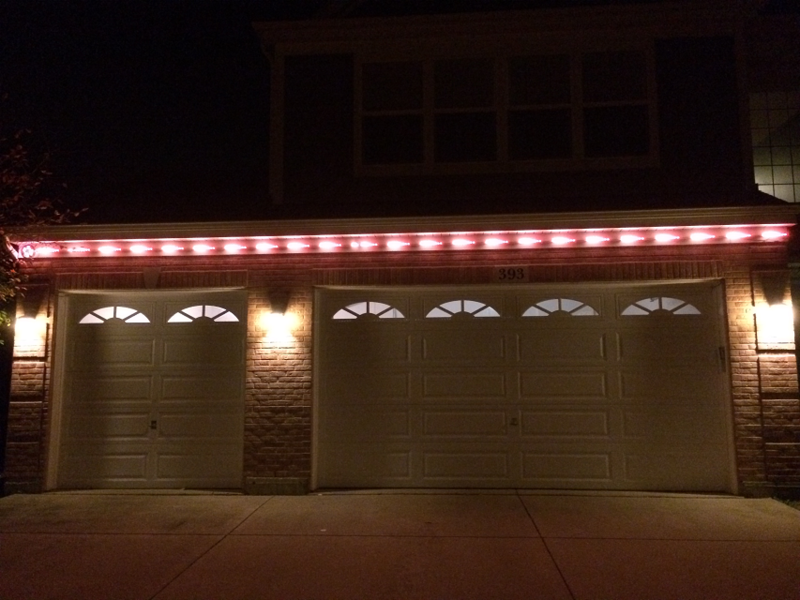 In the autumn of 2014 I constructed an outdoor under-eave NeoPixel display string using two 5-meter reels of WS2812B LEDs (150 pixels each) for a total of 300 RGB pixel elements. These are powered at each end by a 5-volt 10-amp DC supply and are bridged at the middle where the two 5-meter lengths connect. The overall resistance in each power conductor’s 10-meter total length is about 7.5 Ohms, or about 15 Ohms for both 5V and GND. This inline impedance is sufficient to act as the ballast between two power supplies which ordinarily use “auctioneering” diodes or power resistors to deal with the slight imbalances that exist between the supplies as no two power supplies are precisely equal. At the power ends of each LED strip are the suggested DC filter capacitors (I use 2200 uF/35V units as I had them on hand) but I also placed one at the bridging midpoint where the voltage drop would be the highest. This way I managed to obtain a uniform LED brightness across the entire length.